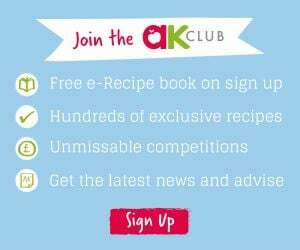 We have teamed up with Amy & Julie, the lovely mumpreneur duo that founded Cheeky Chompers. 5 lucky winners are in with the chance to win the ultimate Cheeky Chompers gift pack! The Cheeky Chompers range is designed by Mums to make parents lives just that little bit easier. Beautifully made here in the UK. The award winning Neckerchew: a chewable dribble bib with attached teether, stylish, reversible and super absorbent. The Comfortchew: the attachable baby comforter combining baby’s 4 favourites; Comforter, teether , teddy and tags. Chewy Hippo Teether: made from natural rubber, arms designed like a sippy cup for easy hold and an attachable harness strap to keep him close. The Cheeky Blanket, which is a luxurious attachable baby blanket with cosy hand and foot pouch and cheeky hidden tags. 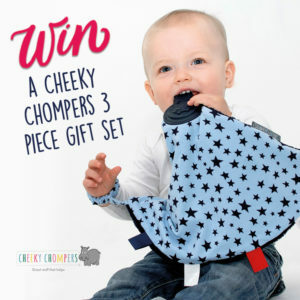 So for your chance to win the ultimate Cheeky Chompers gift pack simply head on over to the competition post on our Facebook Page for full details on how to enter.